holds a Bachelor of Arts degree from St. Mary's College, Notre Dame, Indiana with a major in drawing, printmaking and oil painting. Further graduate and continuing education studies in art education, painting/printmaking, graphic design/digital production and photography gave her a firm foundation in both graphics and fine art. Kathryn Fehlig has been drawing and painting since childhood. In college her passion was large abstract oil paintings but she has evolved towards a more representational style using pastels and acrylics. She is also an excellent draftsman working in pencil, ink and charcoal. Because of her love of animals and years of experience as a horse trainer, rider, showman and judge, she enjoys drawing and painting horses and dogs. Landscapes in pastel and acrylic (in 2013 Kathryn began working with acrylics) are her primary creative motivation and she paints "plein air" whenever Montana weather permits. She studied with landscape pastel artist Colleen Howe in 2005 and received a Montana Arts Council Professional Development Grant in 2006 to study with master pastelist Richard McKinley whom she also studied with in 2008. Kathryn also studied figure painting with both Dawn Emerson in 2010, Carolyn Anderson in 2012 and 2013, and acrylic workshops with Elizabeth Bass and R. Tom Gilleon in 2014. In 2015 and 2016she has studied with Greg Scheibel, George Bumann, Charles Dayton, and Howard Freidland. In 2017 she took a workshop in scratchboard from Janice Bogy and a workshop in landscape from Bye Bitney. Kathryn has had one-man shows in Indiana, Missouri and Montana . Her work has won top awards and has been shown in juried group shows in Montana, Colorado, Florida, North Carolina, Washington, Oregon, Wisconsin, Illinois, Ohio, Connecticut, Michigan, New Mexico and Idaho. She has been invited to participate in The Russell auction in Great Falls, MT, the Holter Museum annual auction and the Waterworks Art Museum auction in Miles City, MT. Her paintings and drawings are in museums and many private collections. She is a signature member of the Pastel Society of America, the Northwest Pastel Society, and the International Society of Acrylic Painters. 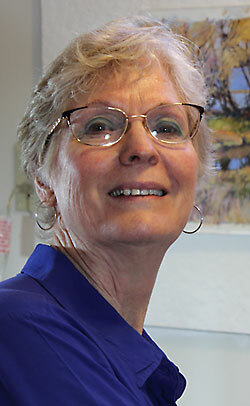 She is a member of the Helena Art Center and an Associate Member of Women Artists of the West. Her work can be regularly seen in Helena at her home/studio, Mountain Sage Gallery in Helena, and at Latigo & Lace Gallery, Augusta, Montana. She occasionally shows paintings with the Helena Art Center group. Kathryn's pastels, acrylics and drawings are for sale directly from her and from her galleries and exhibits as indicated on each art piece image on her website. She can be contacted at: fehligart@gmail.com or (406) 442-1134 . Richeson Award---2019 WaterWorks Art Museum Juried Art Exhibit, "Winter Wonder"